THERE IS A FRAUDULENT EBAY ACCOUNT CLAIMING THAT HE IS SELLING HARBALIZER DEVICES AND LINKING MY WEBSITE. Scumbags---no hacking our legitimate herbie site!!! Brewervapesalot, invertedisdead, ChooChooCharlie and 5 others like this. https://www.ebay.com/usr/maxsvapeworld?_trksid=p2047675.l2559 is Maz's Ebay address, and is the only legal seller of this item. The link given by @herbalizerrepair in the previous post is indeed fraudulent. They have used @herbalizerrepair's website in their advertisement .... in fact they copy/pasted @herbalizerrepair's Ad word for word. 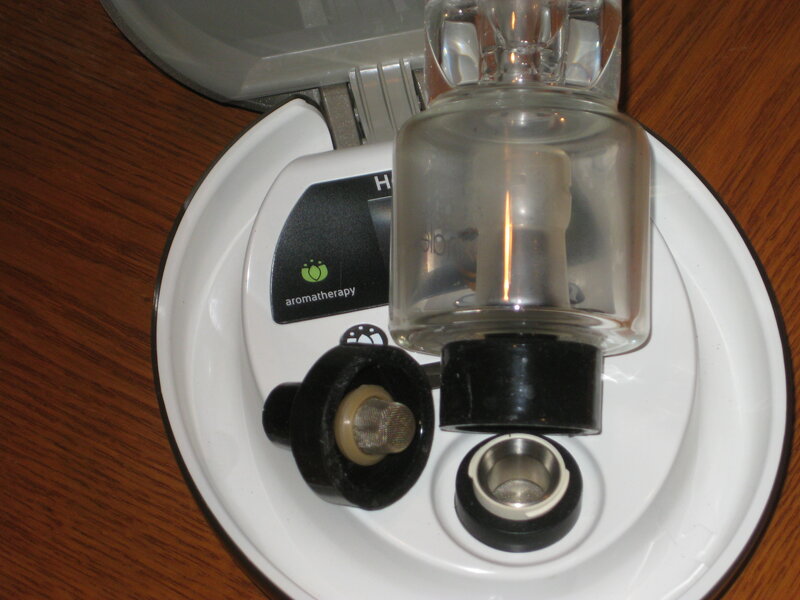 PLEASE.... do avoid this seller (who I have reported to Ebay) who is selling this fraudulent Herbalizer (they have the listing posted 6 times on Ebay). ChooChooCharlie, Chicken Charlie, Vicki and 5 others like this. Thanks Maz for the heads up! Checked the link and it appears they have been shut down already! Keep on trucking brah, I’ve made two purchases from you and each was delivered in a timely manner, packaged well. His_Highness, Vitolo, arb and 2 others like this. Wildeyedzan, His_Highness, Vitolo and 2 others like this. I was waiting for the international version for so long, it never arrived! His_Highness, Vitolo, lazylathe and 1 other person like this. You have to send your unit in so I can update software and add jumper cable into button control and that would fix your freezing issue. kcmochris, Vitolo, His_Highness and 1 other person like this. Was using my unit a couple of weeks ago and heard kind of a sizzle and some smoke come out of it when I turned it on. No bowl was on it. I thought it probably got fried but its been working perfectly since then. Has that happened to anyone? Should I be worried about it? Vitolo and Wildeyedzan like this. Might have been some herb that fell through the screen and into the unit that burned when it hit the heat source? Just a guess. Vitolo and Samson like this. Yeah that makes sense. Thanks. Where do you get replacement bags still? herbalizerrepair and Vitolo like this. Some folks have used turkey cooking bags or bags supplied for other vapes. Do a search on this thread for "turkey". I think you'll get some useful info. justcametomind, His_Highness, herbalizerrepair and 4 others like this. Uses only bottom half of Herbie chamber and a miniVAP flexicone basket module. Pics show setup using a Delta 3D black silicone adapter BUT you can also just rest Flexicone in bottom chamber and sit hydratube directly onto it. His_Highness, lazylathe and Chicken Charlie like this. I do direct hits with glass or use the whip. When using glass, I use my "Nesting Duck" system for short vapor path, and great flavor. Vapeur Rogue, Modicum, His_Highness and 2 others like this. I barely partake anymore, but I still have one of the original 50 units and it performs flawlessly. I've thought about selling it since I rarely use it, but it really is one of the most unique vapes ever made... collector's item? Vapeur Rogue, Vicki, His_Highness and 2 others like this. IMO it's the best "medicinal" vape there is. If you're really not using it much.....Selling it, loaning it, etc. to someone in serious medicinal need would be very cool. The Herby is a lifesaver for my wife when her migraines take over. Vicki, herbalizerrepair, Chicken Charlie and 2 others like this. Without a doubt a collectors item as time goes by. I have invested heavily in parts and accessories and with @ herbalizerrepair out there I have confidence to use the unit daily. I highly suggest that anyone on the fence buy one b4 they are gone, performance wise it’s a killer unit and easy to set up and use. I’m even contemplating getting a second unit. Modicum, Vicki, herbalizerrepair and 1 other person like this. Vapeur Rogue, PPN and His_Highness like this. I haven’t used it as much as I used to because I want to keep it in good condition. Vitolo, MinnBobber and His_Highness like this. Vitolo , hope all is well. ?? for you.My Herbie whips have seen better days . I can get an original Herbalizer whip from a friend , but I was wondering what brand whip you might recommend . Maybe a little wider than the original one? Thanks for your time. Okay, read this entire forum. And it's a mess. Lol. But I bought some cool, without warranty, stuff! Haha. I saw a mention about the S & B law suit against Herbalizer (1Ready LLC). I pulled it on Pacer (federal court docket system). 1Ready countersued and basically said S & B is full of it and can go pound sand. They asked for fees for having to deal with the suit. The parties agreed to dismiss the suit. Maybe Herbalizer can sort their crap out now? That seller does not sell bags anymore does anyone know where I can get bags from I remember a while ago someone suggested volcano bags with the volcano bowl piece im not sure I just found out about herbalizer being discontinued now im worried I'm not able to find a work around.